LOC: FREY 35- (AE) (SR05C). We are sorry for any inconvenience this may cause. No exceptions. Trending at $18.27eBay determines this price through a machine learned model of the product's sale prices within the last 90 days. Dual-Core Processor - Fast Shipping! The CPU Processors are USED and are FULLY FUNCTIONAL. The CPU Processors may have scuffs/scratches from normal use and handling. nternationally ~. Trending at $18.24eBay determines this price through a machine learned model of the product's sale prices within the last 90 days. Step Code QCFW (ES Version of SR0RG). 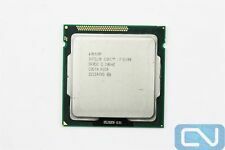 INTEL CORE i3-3220 SR0RG 3.3GHZ 3MB 5GT/s LGA1155 CPU PROCESSOR. Used in good working condition. Removed from working installation. SR0RH specifications. Part number CM8063701137900. Notes on sSpec SR0RH. Socket type Socket 1155 (LGA1155). We cannot warranty for incompatibility. If you are unsure, send us the make and model of your computer or motherboard and we will do our best to verify for you. This processor is a Fair-Grade processor. The pictures to your left are a representation of our Fair-Grade. Core i3-2120T. Processors - CPU's. Clock Speed. Turbo Speed. Storage - HDDs/SSDs. Add-On Cards. LOC: FREY 39 AE (SR0RG). We are sorry for any inconvenience this may cause. No exceptions. This processor is a Fair-Grade processor. The pictures to your left are a representation of our Fair-Grade. Storage - HDDs/SSDs. Cables and Peripherals. LOC: Frey 32 (AE). We are sorry for any inconvenience this may cause. No exceptions. This is a used processor, but works without issue. This sale is only for the CPU, no other components are included. Sandy Bridge. Core i3 2nd Gen. Graphics Base Frequency. Graphics Max Dynamic Frequency. If you have never done a CPU upgrade before, do not buy this CPU. Make sure this CPU is compatible with your motherboard before you buy it. Tech support is not included. Picture Shows exactly what you received. Misc Information. Not available for this item. We upgraded a computer and replaced this processor. It works Great. We pulled it from an Dell Optiplex 790. Condition is Used. This processor is tested and working. 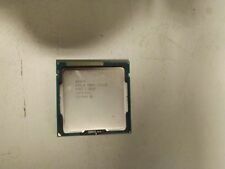 The CPU is ingreat condition and is f ully functional, stress tested, and clean. Trending at $23.43eBay determines this price through a machine learned model of the product's sale prices within the last 90 days. This processor is a B-Grade processor. A B-grade processor has minor scratches on the heatspreader (no copper showing) or. The pictures to your left are a representation of our B-Grades. Storage - HDDs/SSDs. Model: Core i3-3240, SR0RH. Socket Type: Socket H2, LGA 1155. We will not send a combined invoice unless it is requested. We are not able to make any exceptions to this policy. Trending at $23.01eBay determines this price through a machine learned model of the product's sale prices within the last 90 days. Socket Type LGA 1155/Socket H2. INTERNATIONAL ORDERS. Only what is in the photo is included in the sale. If a part is not shown in the photos, then it is not included in the sale of this item. We are not staffed to research/report compatibility concerns. 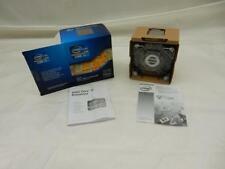 Intel Core i3 2105 LGA 1155 Sandy Bridge 3.1 GHz Dual Core 65W CPU FREE SHIP! One owner. Working pull. No heatsink or fan is included. Never had a problem with this CPU. 3 MB Smartcache. 2 Cores / 4 threads (Hyperthreading). The CPU is ingreat condition and is f ully functional, stress tested, and clean. Includes CPU only. Intel Core i3-3220 3.3GHz 3MB Dual-Core LGA1155 CPU SR0RG. Condition is Used. Shipped with USPS First Class Package. Intel Core i3-2100 SR05C 3.10GHz CPU Computer Processor LGA 1155 Socket. Condition is Used. Shipped with USPS First Class Package. Trending at $17.31eBay determines this price through a machine learned model of the product's sale prices within the last 90 days.